We’d love your help. Let us know what’s wrong with this preview of The Rome Gospel by Ben Chenoweth. The apostle Paul is dead, executed by the emperor Nero. When news of the apostle Peter’s arrest reaches Yohanan, also known as Mark, he decides the time has come for him to leave Rome. However, before he can board a ship to Cyrene, the city of his birth, he receives a divine call to become a servant of the word — someone who can retell the account of Jesus. In order to do s The apostle Paul is dead, executed by the emperor Nero. When news of the apostle Peter’s arrest reaches Yohanan, also known as Mark, he decides the time has come for him to leave Rome. However, before he can board a ship to Cyrene, the city of his birth, he receives a divine call to become a servant of the word — someone who can retell the account of Jesus. To ask other readers questions about The Rome Gospel, please sign up. 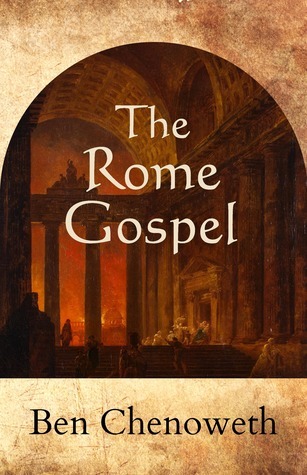 Emperor Nero is burning Christians alive, but John Mark has to go to Rome to find one of the eyewitness account holders. Chenoweth is back with his best yet. He deftly captures the feel and flavor of first century Rome and Jerusalem. It feels like you are actually there. The story centers around John Mark as he takes down notes from a church elder to write the Gospel according to Mark, all the while been pursued by vigilantes trying to turn him over to the Romans to be crucified. Chenoweth is a the Emperor Nero is burning Christians alive, but John Mark has to go to Rome to find one of the eyewitness account holders. Chenoweth is a theologian as well as a gifted story-teller, and weaves in the latest and best evangelical theology of early gospel oral traditions, and how these may have formed the basis of the three synoptic gospels - Matthew, Mark and Luke, which share a lot of material.